Ok so I know I've been saying this every month but how is it October already?! Even though we aren't really having much fall weather here in Santa Barbara, the bucket loads of pumpkin products in Trader Joe's and my constant Pumpkin Spice Latte cravings are definitely hitting home the fact that the year is almost over. Anyways, the last day of the month also Foodie Pen Pals reveal day! I love Foodie Pen Pals and this was my seventh time participating, so I'm an old pro at it now. 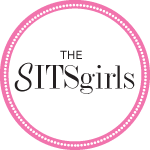 I was partnered with the author of the fun healthy living blog Miss Nutralicious, who was joining for the first time. Well let me tell you, she totally hit it out of the park on her first try! Just look at all these awesome goodies! The box was jampacked full of delicious local finds from all over Michigan. And, to go with her local products theme, Miss Nutralicious sent a cute card, a detailed description of the box's contents, and even included a foodie road map showing exactly where everything came from. Love that! - Spinach Linguine: I haven;t had pasta in awhile and the nutrition stats on this are awesome. Can't wait to try it out! 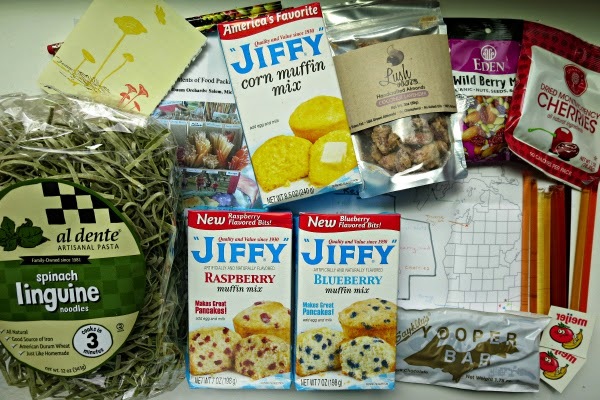 -Jiffy Blueberry, Raspberry, and Corn Muffin Mix: Sooo many recipe possibilities with these. -Eden Wild Berry Mix: Yummy trail mix in a perfect snack size. -Dried Montmorency Cherries: I don't know what it was about them, but these were the BEST dried cherries I've ever had! -Honey Sticks from Obstbaum Orchards: Great for a healthy sugar fix, or for stirring in tea. Plus it was super helpful to have a picture for identifying the flavors! 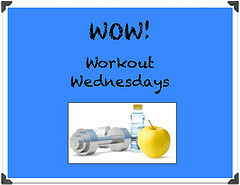 -Yooper Bar: Umm, this was simply amazing! It's a good things these aren't sold here or I would have a serious problem on my hands. -"Try New Food" Pencils and Temporary Tattoos: So cute! Thanks so much for the incredible package, Miss Nutralicious! I love Foodie Pen Pals and highly recommend it to anyone who's considering signing up for the next exchange.If you'd like to join, click here to learn more and sign up by October 4th. aww this is SO fun! The foodie box is so thoughtful and what a super cute map! I took a break the past couple months, maybe I'll sign up for it in October. Think of all the pumpkin possibilities!! (I just bought TJ Pumpkin Cornbread the other day yumm). I'm so glad you liked your package. My husband is a social studies teacher and his class has been studying maps. 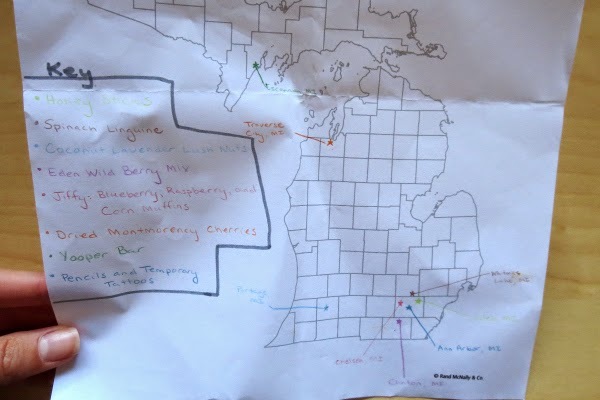 For the past month, there have been maps all over my house, so when I was putting together a "Michigan" food package, the first thing that popped into my head was "Hey, I should make a food map!" I'm happy you enjoyed it! Thanks for being my first foodie penpal!